Posted on June 13, 2018 at 5:48 pm. For the ultimate millionaire experience, why not hire your own ship for a mere $100,000 (around £75,000) a day? 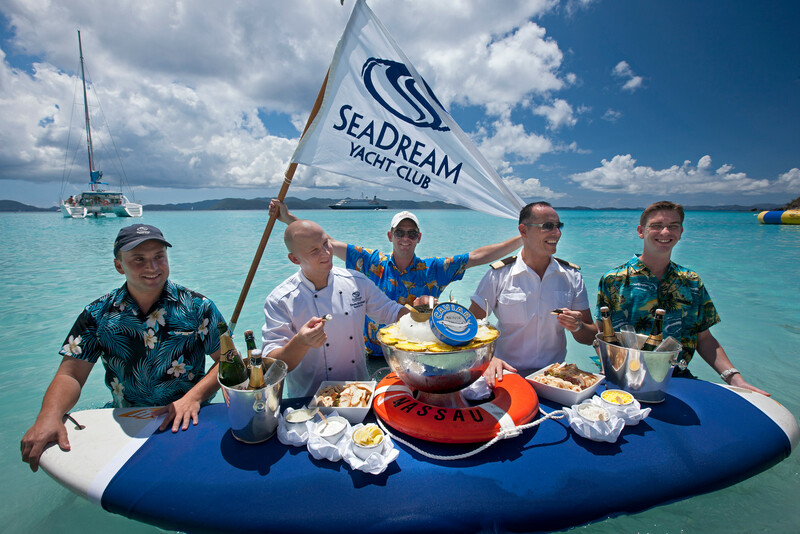 For this, you get the 112-passenger SeaDream I or SeaDream II, the services of a 95-strong crew, an open bar, water toys including kayaks and water skis – and 4lb of caviar. All the guests can fit into the Dining Salon in a single seating and evenings can be spent on the pool deck watching a concert or movie on the outdoor big screen with pillows, blankets, fresh popcorn and bar service. One of the highlights of the trip will be a day on a private beach where uniformed staff wade into the surf to serve champagne and caviar before your guests enjoy a gourmet barbecue on china plates.